Holy zucchini! This past spring I planted a bunch of zucchini seeds (non-GMO, organic) and they’ve done amazing in this weather. They are doing so great in the heat and rain that we are harvesting about six to seven huge zucchinis every 7-10 days. Part of growing my own GMO free, organic food is to be able to eat healthier. On a side note, I love the process of starting from a seed to harvesting. I feel productive growing my own food. However, now I’m focusing on using all of the zucchini before it goes bad. I’ve had zucchini in a boat, grilled, sautéed, and even fried (sssh. Don’t tell!). I’m starting to get zucchini-ed out so now begins the real work. 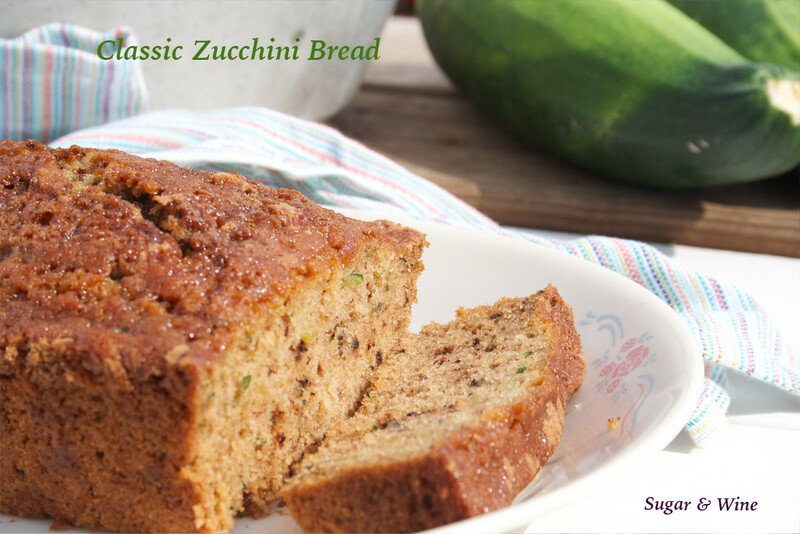 While classic zucchini bread isn’t creative, it sure tastes great. I don’t bake a lot in the summer because it is so hot but I’ve started to get back to baking with the abundance of vegetables coming from the garden. 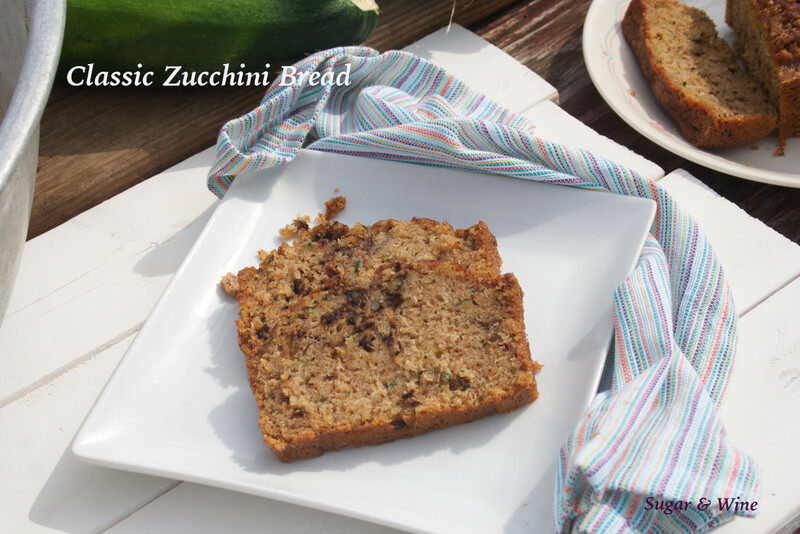 I can’t wait for fall and pumpkin season to roll around to share my grandmother’s pumpkin bread recipe with you but in the meantime, this lovely zucchini bread recipe is a terrific adaptation of it that will hold you over until fall. If you disregard the butter and sugar, this is basically just protein (eggs and nuts) and veggies and isn’t that bad for you, right? Right? Pre-heat the oven to 350°. Spray the bottom and the sides of two loaf pans (or four mini loaf pans). Cream together the butter and sugar in a mixing bowl. In a separate bowl, sift together the flour, cinnamon, cloves, baking powder, salt, and baking soda. Mix the zucchini, water, vanilla, and eggs into the creamed butter and sugar mixture until blended. Then, add in half of the dry ingredients to the wet ingredients and mix until blended. Once blended, add in the remaining dry ingredients and mix again. Scrape down the sides and mix until completely blended. Mix in the chopped walnuts. Pour half of the batter into each of the loaf pans and bake for one hour or until the toothpick comes out clean.